Big snowstorms followed by rains and warmer weather increased the risk of avalanches and brought caution to the area's resorts, including Mount Baker, which closed for at least two days. 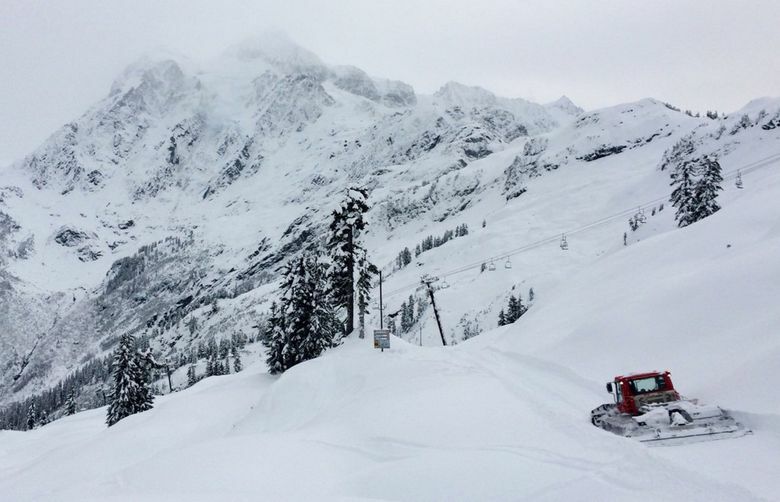 The Mount Baker Ski Area took the unusual step of closing for skiing on Sunday and Monday, as warmer temperatures brought rains that could increase the risk of avalanches. In the last 10 days alone, the skies dumped 12 feet of snow on Mount Baker, according to the Northwest Avalanche Center. Warming temperatures turned snow to rain by Sunday, particularly in the northern part of Washington state, prompting the center to warn of avalanches in backcountry areas. “With this amount of new snow and rain on top of it, we’re anticipating some potentially very large and dangerous avalanches,” Kenny Kramer, director of the Northwest Avalanche Center, said Sunday. 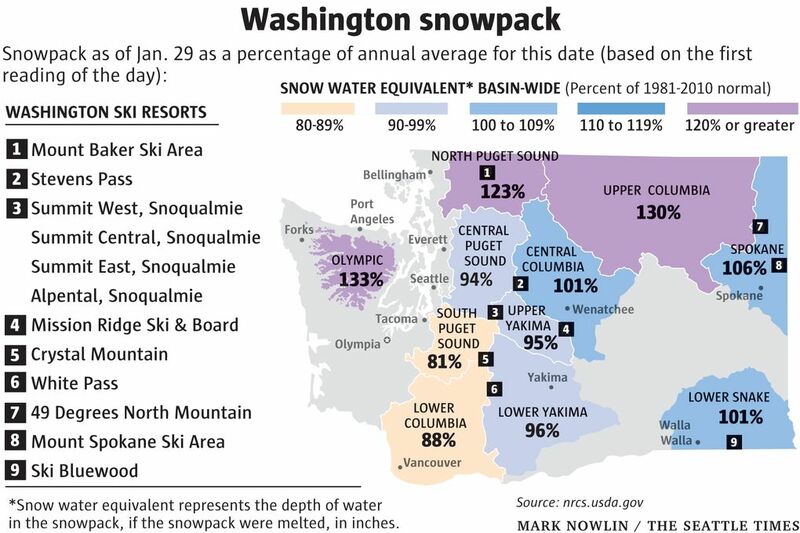 While snow was forecast to return to the mountains by Monday night, a soggy atmospheric system is expected to drench Western Washington, swelling rivers and raising the risk of landslides. The National Weather Service had flood watches in effect for seven counties, including Skagit and Snohomish.